NEBiP members have numerous vehicles for philanthropic giving that address issues relevant to our community. You can donate to one of our partner Giving Circles or Funds that are listed on this page. 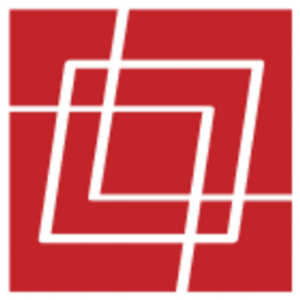 If you are a NEBiP member and would like to include your fund on our web pages, please contact info@nebip.org. ABFE is a membership-based philanthropic organization that advocates for responsive and transformative investments in Black communities. Partnering with foundations, nonprofits and individuals, ABFE provides its members with professional development and technical assistance resources that further the philanthropic sector’s connection and responsiveness to issues of equality, diversity and inclusion. For more information about our mission, vision and programs, click here. The Black Philanthropy Giving Circle Fund’s mission is to create sustainable change in the Black community by leveraging the philanthropic efforts of donors and celebrating Black philanthropy. While all donations are welcome, a gift of $365 per year will allow you to become a member of the giving circle. 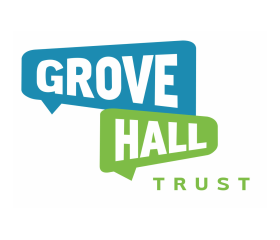 The mission of the Grove Hall Trust is to make Grove Hall better by improving the quality of life for its residents. The Grove Hall Trust is committed to empowering the community to decide what programs their neighborhood needs. Support our efforts to bring vital programs and resources to the Grove Hall area. Poise Foundation assists the Pittsburgh Region’s Black community in achieving self-sustaining practices, through strategic leadership, collective giving, grantmaking and advocacy. We envision a Pittsburgh Region in which all members of the Black Community are empowered and self-sufficient. 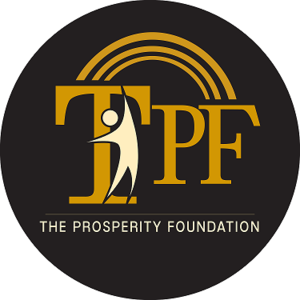 TPF is a bold idea. While we have witnessed the creation of specific donor-advised funds to address the needs of Black communities, there is no comprehensive public charity with all of the components of a community foundation, focused exclusively on improving the overall well being of the Black community in a specific State. The Rhode Island Black Philanthropy Bannister Fund is the result of a collaboration between the Black Philanthropy Initiative, a field of interest fund established at the Foundation in 2007 to address the needs of the Black community, and Bannister House, a nursing home for retired African American domestic workers. The Roxbury Trust Fund Committee was created by an Act of the Massachusetts Legislature: Chapter 443 of the Acts and Resolves of 1990. Seven Trustees were appointed to the Committee in accordance with the conditions specified in the legislation. The mission of New England Blacks in Philanthropy (NEBIP) is to inform, reform and transform the practice of philanthropy. Our goal is to increase the assets and power of Black philanthropy and communities. 100% of your contribution whether through membership and/or donation will support philanthropic efforts and research to inform the practice of philanthropy in Black communities. The landscape of philanthropy is changing. The demographics of who gives and what they care about is vastly different than it was 20 or 30 years ago. The dollars that are available for philanthropic investment have increased exponentially and the transfer of that wealth in the coming years is going to a new breed of philanthropists. Foundations need to keep up with the interests, behaviors and passions of their stakeholders. We can help. Through our Intentional Philanthropic Investments program, we provide tailored expert support and associated tools and resources that can be used in in developing and executing effective intentional philanthropy. By engaging our IPI team, you can receive guidance on how to power your intentional investment strategy – which approaches are right for your community or individual focus and how to create the biggest impact. If you would like to learn more or join our group of New England-based Black philanthropists, trustees and staffs of grant making institutions, we would love to meet you! Simply complete the form below and someone from the NEBiP team will be in touch with you. Your participation makes the difference as we to enhance philanthropy’s ability to address the needs of Black communities.